If you regularly read my blog you will know that I love to bake bread! I recently treated my self to a new toy. A Lekue silicone container to bake bread in! As I had a new toy, I had to try baking a new bread, or two. I have made this soft, tasty, continental style loaf. That will certainly become a family favourite! The caraway gives this loaf a real taste of the continent. It is delicious when still slightly warm with butter and makes a delicious sandwich when cold! Yum I love making bread, a soft loaf appeals and caraway has such a good flavour. Oh how did the container bear up. Was it good? I keep meaning to try making bread- but I am scared, it always seems like a lot of processes! The end result looks delicious though! That looks and sounds amazing. I love homemade bread. I'm not very good at cooking or anything so never heard of, caraway! I've seen those silicone holders - they look really good. Silicone is a devil to clean though, it seems to hang on to the surface of the food! This looks delicious and pretty easy to make. I've never made bread in the oven but you've made me think I could try! i don't like rye bread, but this looks like a easy recipe so i can appreciate it for that :) looks good too! love when bread is fresh with a bit of butter ...mmm! My Hubs loves Rye bread with corned beef. MMMMMmmm you are making me hungry just looking at your bread. Thanks so much for the recipe. Oh this sounds lovely, I love bread but don't make it very often! 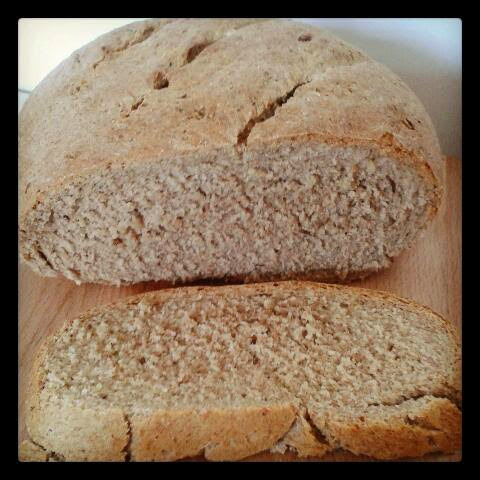 Yum, I LOVE rye bread - I'm so rubbish at making bread though! I will enjoy trying this. I am not a fan of 'normal' bread as it daoesn't taste of anything, so this looks right up my street! I love rye bread - this looks awesome. I love baking bread as it makes the whole house smell wonderful. We have been baking our own bread recently. I must try your recipe out and look for some caraway seeds when we next go shopping. I bake bread most days and our breakfast loaf has rye in it, it's good stuff! Ooooooooo that sounds delicious. I love bread, in fact bread is my failing! Word of the Week - Sleep!